Visiting this botanic garden on winter days recently has been very rewarding for me. While eating lunch at a picnic table this gorgeous creature came foraging along, around the table and between my legs. It even bumped into my foot a couple of times as I kept very still (my foot must have smelt unpleasant as it quickly scurried off afterwards). 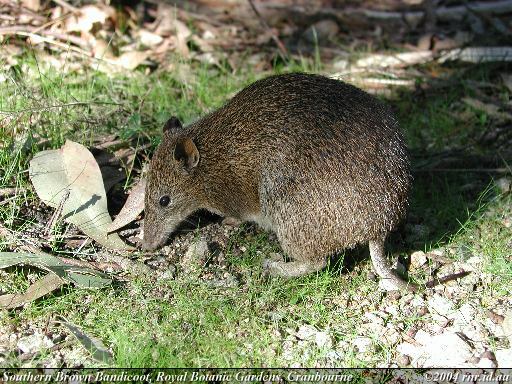 There are five subspecies of the Southern Brown Bandicoot, mainly (as the name suggests) along the southern edge of the country. 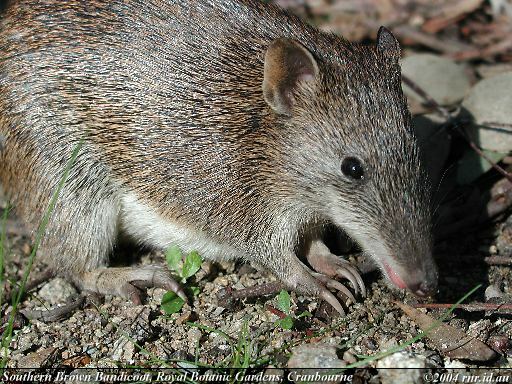 However one subspecies finds north Queensland home. 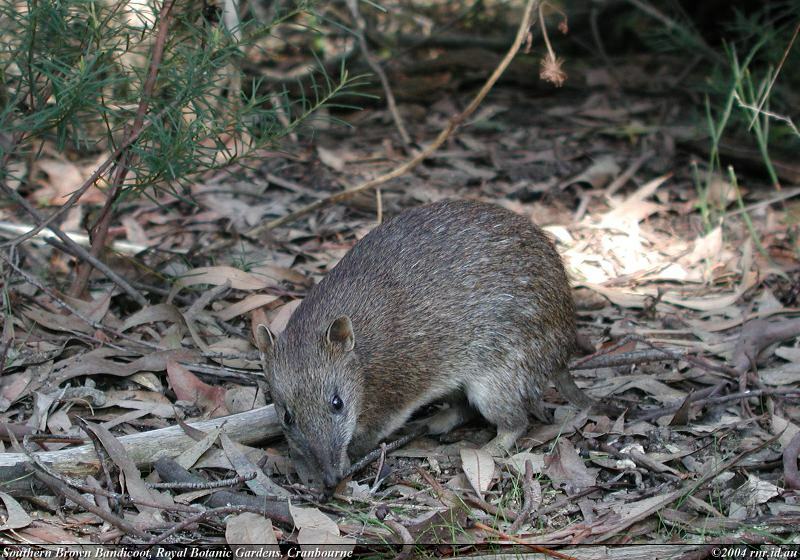 Search for more Bandicoot images using AllTheWeb, AltaVista, Google or Yahoo.